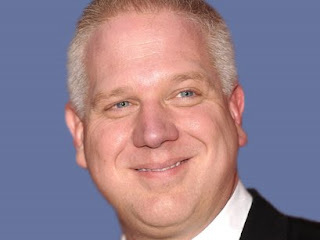 In a lengthy profile in this weekend's New York Times Magazine, author Mark Leibovich covered many different aspects about Glenn Beck that are worth noting. Previously on this Review, a reprint of the StopBeck post about the article noted how many companies are now boycotting the Glenn Beck show on Fox, and Media Matters for America pointed at the apparent tension there is inside of Fox News between staff and the "rock star," Mr. Beck. Unfortunately, Mr. Leibovich didn't use his access, directly interviewing Beck, to ask tough (or any!) questions about his dishonesty, his disregard for his own principles (hypocrisy) or, even when it was obvious in black and white, to query Mr. Beck to see if he recognized himself as a quack, a fake or a charlatan, unqualified for the role that he has given himself, i.e., sage historian and national leader. Leibovich noted that Beck "often changes his mind or nakedly contradicts himself." “When you listen and watch me, it’s where I am in my thinking in the moment,” Beck told him. “I’m trying to figure it out as I go.” It is one thing to learn on the fly; it's something else to flagrantly go against what are supposed to be one's own values. The first is learning; the latter is naked hypocrisy. Leibovich slipped in the mud and dropped the ball. Why are they so mean to me? Apparently it blows up on him occasionally when Beck is in public. When asked by his colleague, Bill O'Reilly, at one of the Bold and Fresh tour stops if it bothers him to have detractors who "want to destroy you, get you off the air,” Beck replied, “It bothers me when I walk down the street with my children,” Beck said, “and my college-age daughter is holding my hand, and someone says something horribly vicious. And my daughter hears them, cries and says to me, ‘Dad, all I wish is that people will remember that you are a dad occasionally as well.’" There's a word for this that Beck doesn't seem to have in his vocabulary: karma. What comes around goes around. For the record, this Review seeks to make Beck an honest man, not to destroy him or get him off the air...unless he does not stop his lying. Toward the end of this article, the journalist described Beck's speech at the 9-11 event with Sarah Palin in Anchorage, AK. Beck "kept going, and going, and delivered a stem-winding ending about how George Washington became terrified at the end of his life about doing something that would dishonor himself and his country...The room was perfectly silent after two hours plus...to hear a self-described 'recovering dirtbag' with not a single college credit to his name teach them history." Three days later, Beck confided to Leibovich, “I have not prepared my whole life to be here. I prepared my whole life to be in a back alley.” Capable but unqualified, skilled but deceiving, a gifted con artist who offers tripe as "information," persuasive yet cruel, Beck is on a precipice. It's clearly a dangerous position for someone as unprepared as Mr. Beck -- a leader of millions.